A very common 3kw Balboa hot tub heater assembly with studs to attach to plastic GL & GS control packs. 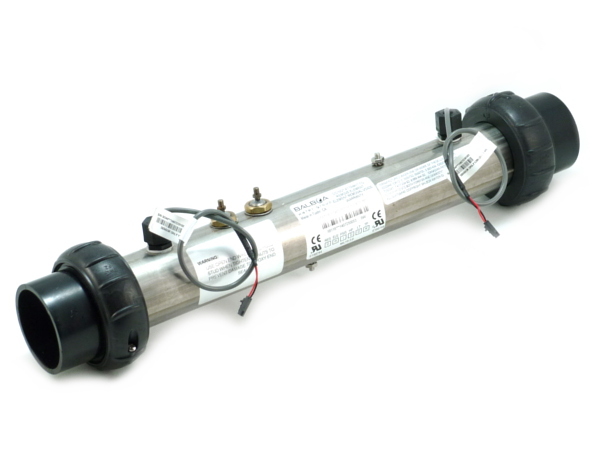 These heaters use the latest M7 sensor technology and have a sensor at each end of the heater tube to check water temperature and water flow rate. Comes complete with the latest high quality titanium coated heating element, 2 x 2" heater gaskets and 2 x 12" M7 sensors. When connecting the two power wires to your new heater terminals be very careful and hold the base of the terminal with a small spanner or long nose pliers before tightening the two 10mm nuts up on top. See specification sheet for more detailed information on this product. This is a genuine Balboa product stay well clear of cheap internet copies.